Wash and cut all vegetables and herbs. Boil rice vermicelli noodles according to package instructions. 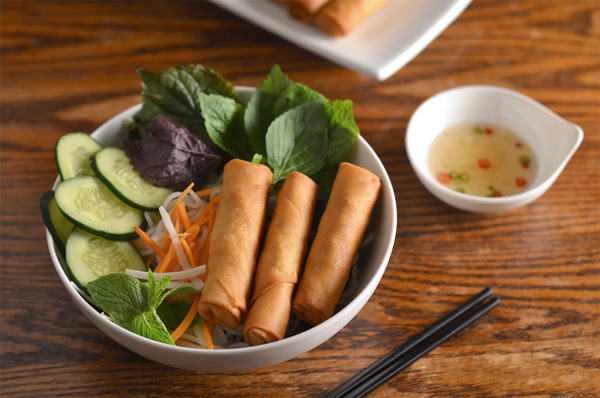 Arrange in bowls, top with egg rolls and prepare the dipping sauce.